With sudden shocks or the arrival of unexpected news, words can be hard to find. 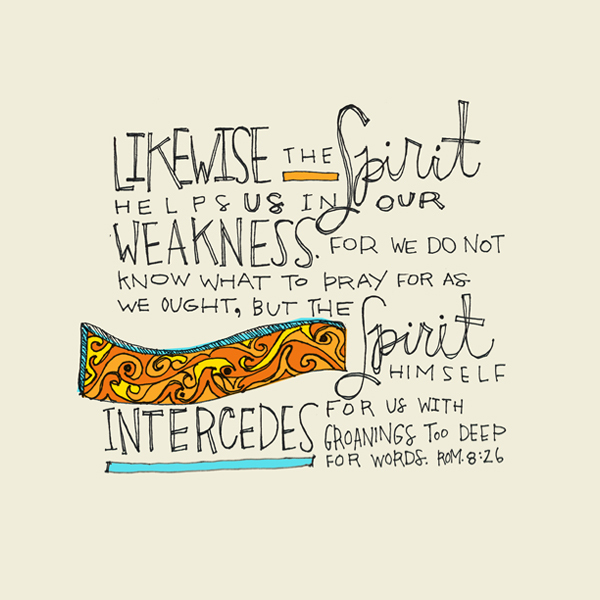 Holy Spirit Himself prays for us despite our wordless groans & moans! I don’t need to be eloquent. I don’t need to make sure I pick just the right words. My speechlessness in stress doesn’t matter. God knows me so well that even my groans, inner cries that no one else will ever hear? Holy Spirit prays my prayers for me when i am not able to. Not only did God make the way back Home through Jesus, Holy Spirit takes over the emergency phone calls when we aren’t able to make them! Right now, I am struggling to find the words to share how this revelation has whammied me. I pray Holy Spirit will reveal Himself to you right where you are at, when you need Him most, and reassure you He is interceding for you when you cannot find your words too.